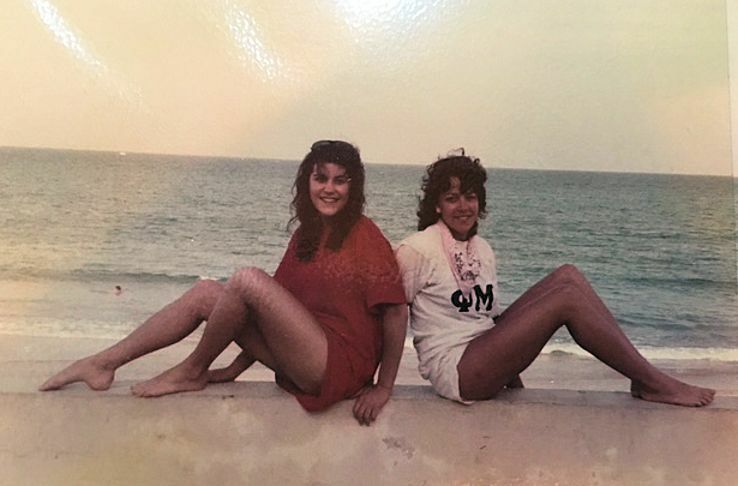 Terri has been my “partner in crime” for MANY many MANY years. 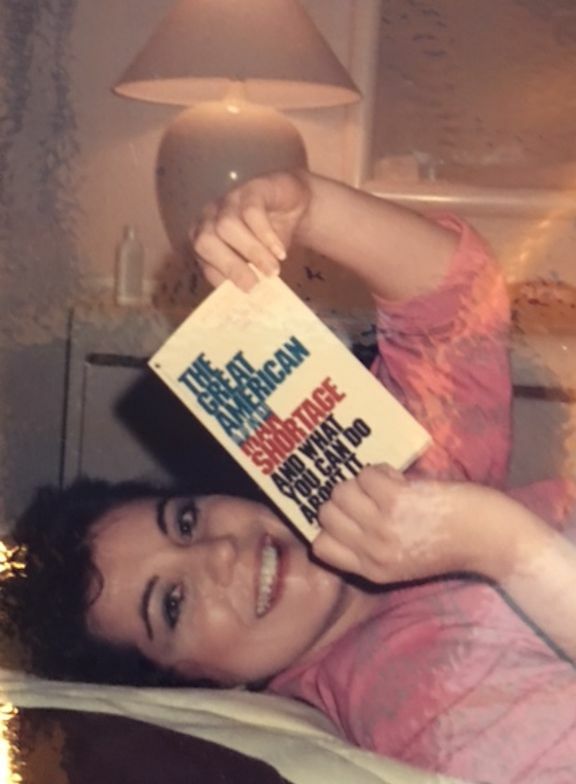 She was the first friend I met when I moved to Georgia in 1969. 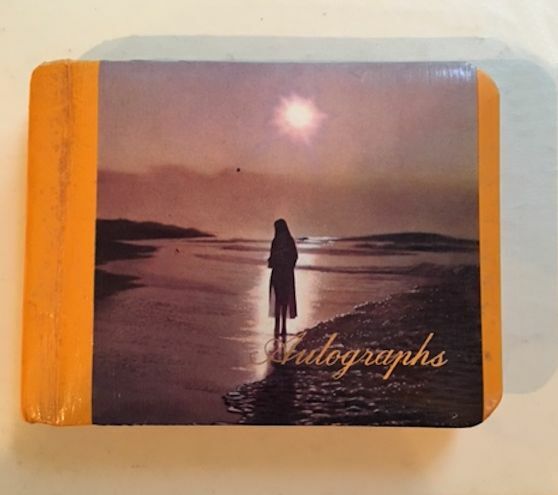 Today, I was going through some boxes in the basement and I found this old autograph book. Remember those? I knew that if I opened it I would find an autograph from Terri and I was right. Here are some deep thoughts from 1973. 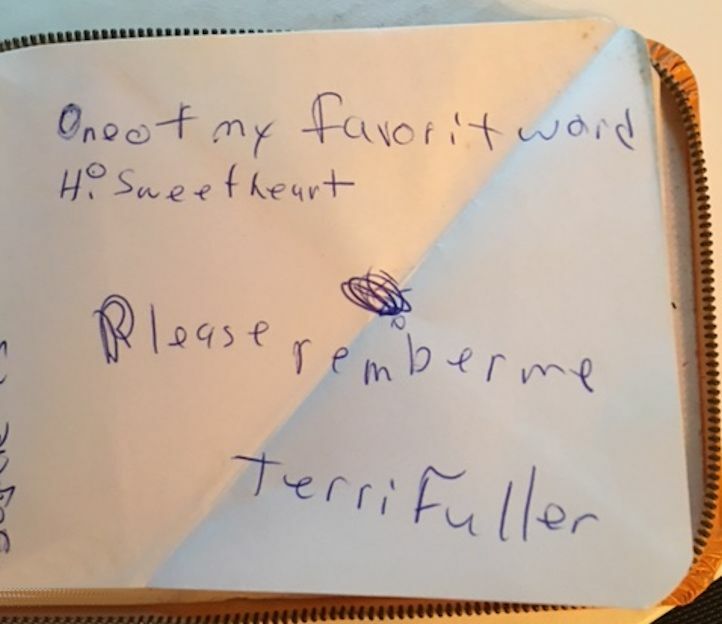 I do remember you Terri. You are unforgettable in every good way. There are many things I could write about but one amazing trip comes to mind. 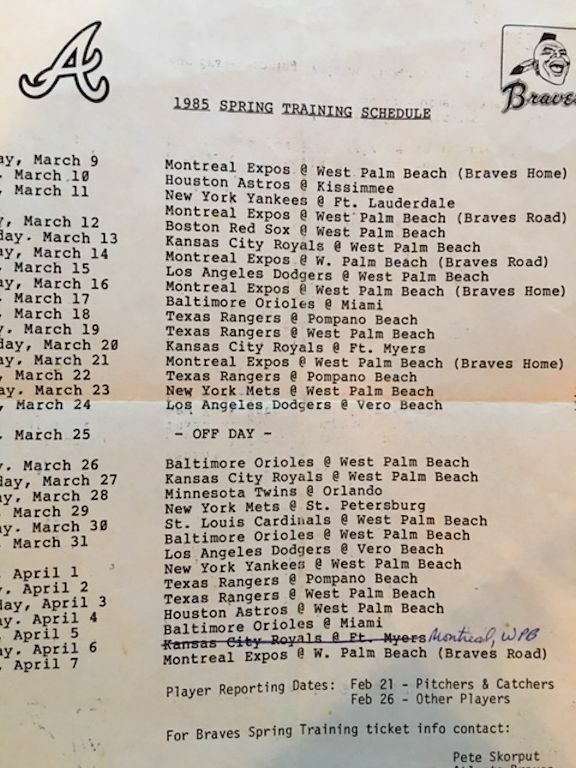 We had an epic adventure to the Atlanta Braves Spring Training Camp in 1985. I got a job working for the Braves in the pressbox when I graduated from UGA in 1983. Later, I got Terri a job there, too. We spent many hours together watching baseball and of course, working. It was an easy job. One year we decided we HAD to go see the Braves at Spring Training. We talked to the PR guys at the Braves and they got us rooms at the same hotel as the players. We had an absolute blast in West Palm Beach for a week. The weather was beautiful and we didn’t know about skin cancer and sunscreen. Ahhhh Life was simpler then. Much less stressful. I’m not sure who was taking all these photos of us but I’m glad we took them. It’s officially now thirty years of trying to find a good man. I want my money back for that book. 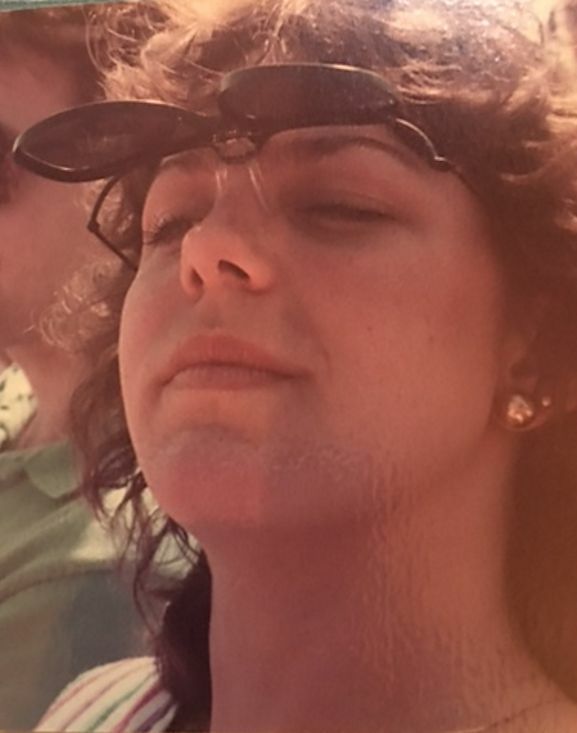 Terri is showing off her 1980’s flip-up eyewear. She’s beautiful in any decade. Hope you have a wonderful and happy day full of birthday blessings! Love ya! Love, love, love this post! 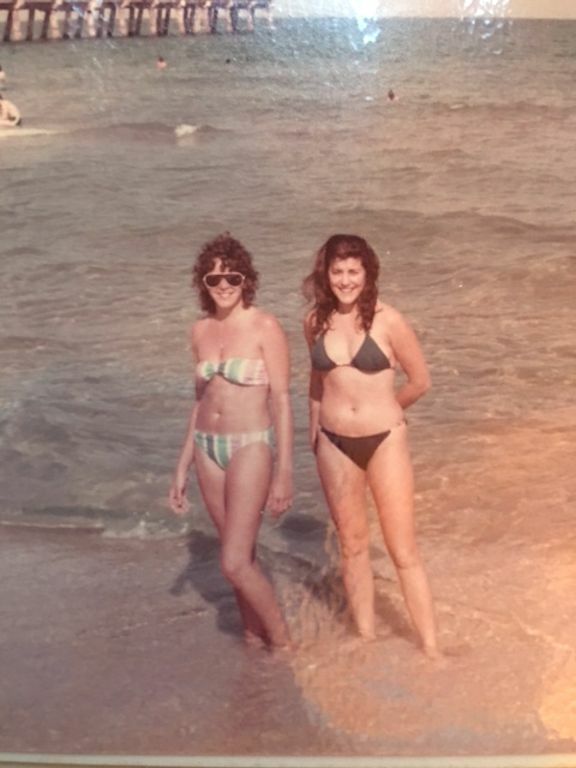 I think my favorite though is the pic of you two bikini clad beach babes! Beautiful inside and out! Love you both!! Happy Birthday, Terri, and many more! What wonderful memories for y’all! Thanks for pictures to help us remember! I love y’all’s pictures and I’m with Gina and love the beach ones. Very sweet words Julie! Love, Nancy S.
Looks as if two girls were having a wonderful time!!! Thank you Julie for the Birthday Wishes and for being my friend in crime all of these years!! Ya wanna go roll a yard?